World of Tanks, described by it's creators as a "Huge mixture of genres including Global Scale MMO, FPS, RPG, RTS, and Simulator." has recently conquered Russia as the leading MMO game in that region. W.O.T. having a 3 Million user subscription base is in the top 10 largest global games, recently having 125,000 players all playing on the same server at one time. 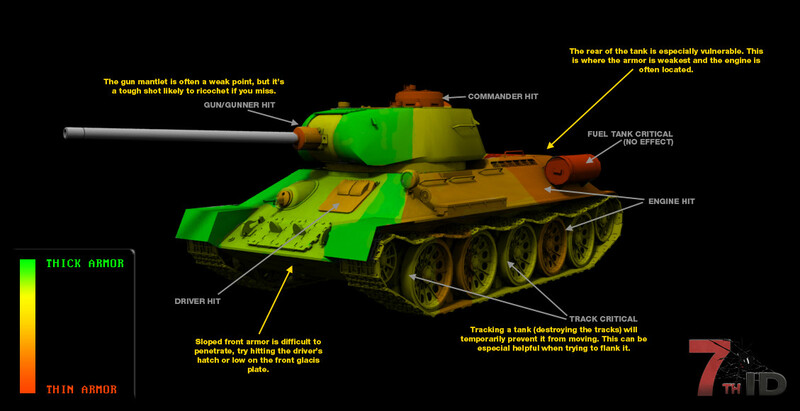 World of Tanks has over 125 armored vehicles from America, Germany and the Soviet Union. 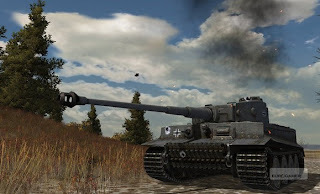 France has also been confirmed to be in development and there has been talk of adding Britain and Japan for a possible total of over 500 armored vehicles. Tanks, Tank Destroyers, and Self-Propelled Artillery are available from the 1930's to the Korean war era. Battles occur with 30 players on a 1 Km square map with some city maps being slightly smaller and typical battles last from 5 to 15 minutes. 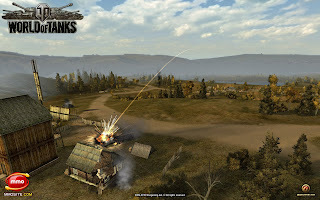 The developers say that they could increase map size to 25 square Km on sparse desert maps, though the scale seems big enough for flanking maneuvers as is. There is a huge amount of "Breakability" on the maps. Trees snap and topple, smaller buildings crumble piece by piece, and fences, woodpiles, and haystacks do disintegrate as your tank crushes them. 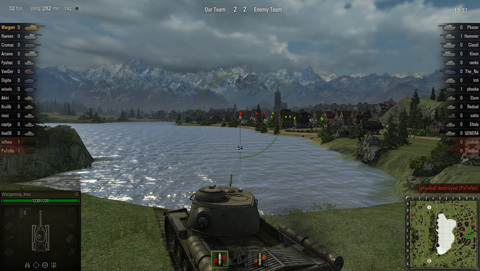 The maps also feature different weather conditions and locations. You could be fighting on a sand dune with a clear sky in one battle and then on to a snow-covered cloudy mountain pass on the next. W.O.T. is free-to-play with gold credits available for purchase. 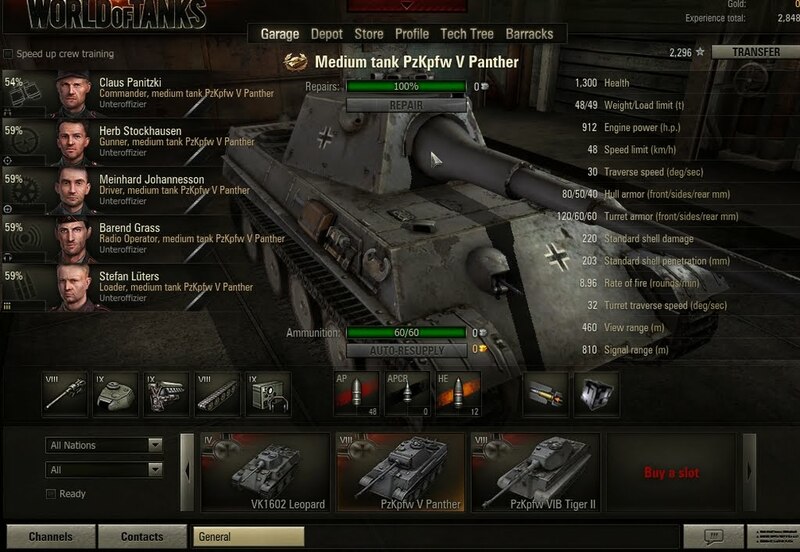 These gold credits will allow for purchase of "Special" tanks, ammo, and tank modules not available to the free public. Does spending cash help win battles? Not as much as teamwork, strategy, and knowing your enemy's weak spots. 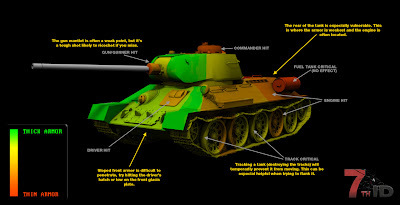 Armor modeling is extremely accurate, taking into account slopes and angles, with several critical locations and crew members as additional weak spots. 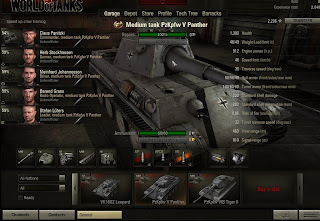 Different types of ammunition will penetrate armor in different ways. 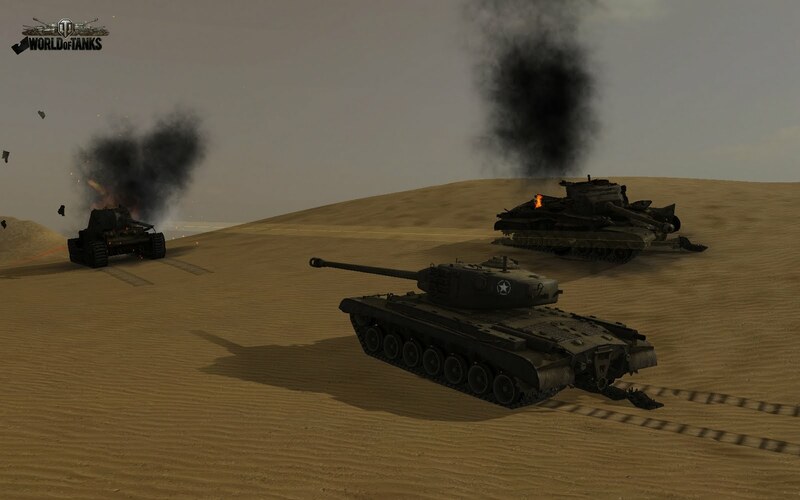 Crew members can be trained to operate different tanks and will level up with special abilities available to the very best. We'll have to see if World of Tanks will continue to penetrate to the top of the MMO scene. The success of this game has led the developers to start work on World of Warplanes and World of Battleships. It's definitely looking like a whole world of wars on land, in the air, and at sea is just over the horizon.